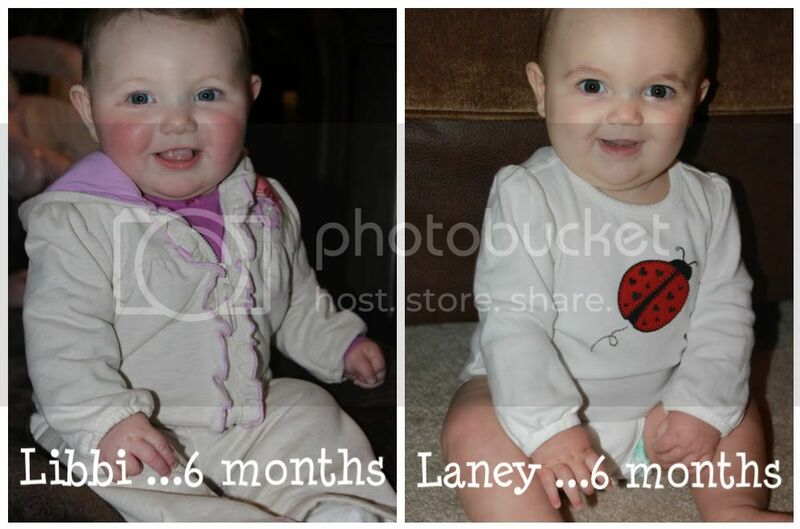 When I wrote Laney's 6 month post yesterday, I said I would add in a few comparison pictures today. 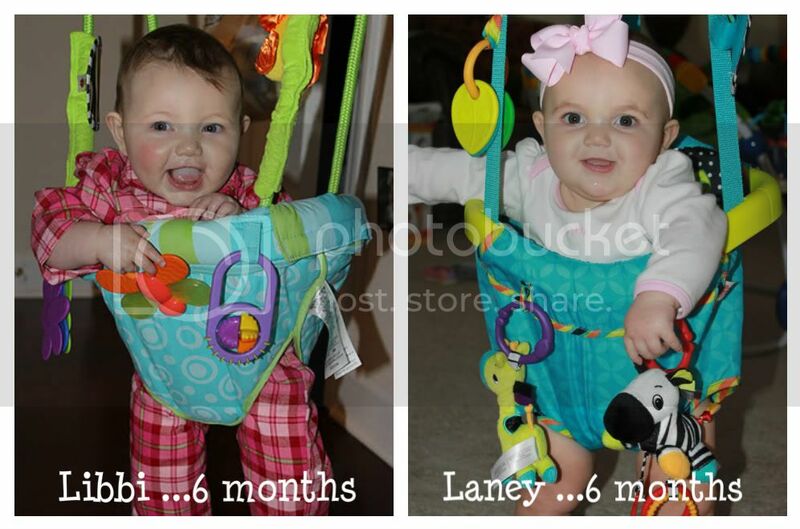 I always like looking back and seeing how much she has changed over the months as well as comparing her pictures to Libbi's, mine, and Jeffrey's. That's just one of that fun parts of being a baby....everyone has their own opinion of who you look like! 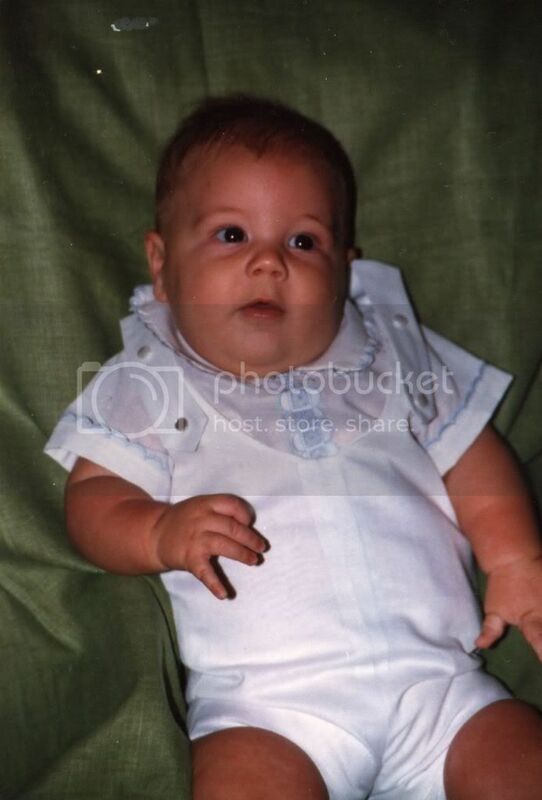 (I would have used better pictures of us, but our scanner is not working and these were the only two baby pictures I had saved on my computer). To me, Jeffrey and Libbi looked SO much alike for her first 8-10 months of life, but now I don't really think they favor each other as much. 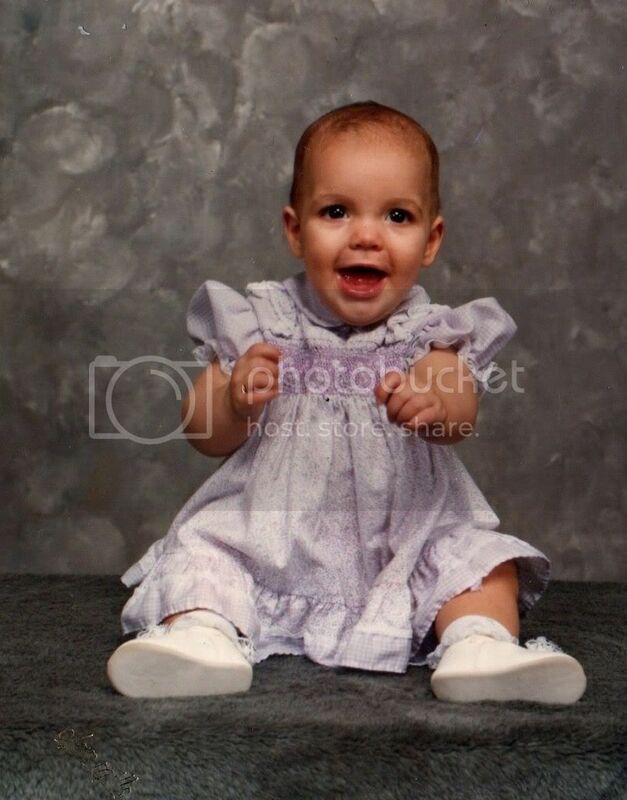 I also don't really think Libbi looks like me, either. I think Laney favors me more right now, but it will be interesting to see if she takes after Libbi and starts to look completely different the older she gets.